We all put our foot in it sometimes. 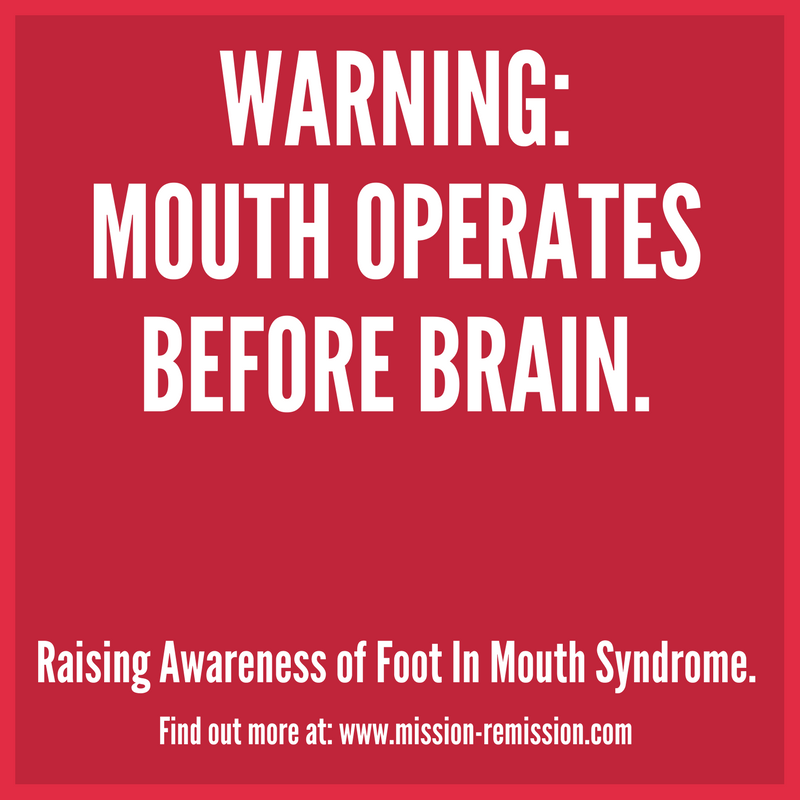 Chat about Foot in Mouth Syndrome, among other human ailments, over on the forum. Sign in to share your ideas on Silly Comments. There’s usually a whole host of inaccuracies with regards to people’s perception of cancer and the recovery thereof. But rather than addressing them all and ranting at the poor chap, focus on one.